A chance to participate and join in the training and creative process with Dollie, Paul and the BOP company dancers. 3-hours of technical and personal development, through the discovery of artistic and creative Jazz dance theatre. Suitable for Advanced and Professional dancers. 3-Hours to enlighten the mind, body and ignite the Jazz Dance Spirit. The BOP Company Creative Hub offers dancers the opportunity to continue their professional training and development not only as a Jazz dancer, but as a versatile dance artist and confident performer. The BOP philosophy and mission is in supporting young and experienced dancers to further access a deeper creative understanding of self-expression and exploration through the artistic development of the Jazz dance and theatre art form. . The BOP Company Creative Hub brings dancers together to join the BOP company dancers in the creative space and engage in the company artistic rehearsal process, exploring and developing the Jazz aesthetic and dance techniques, creative skills, physical and mental awareness and creativity through learning and developing BOP Jazz Theatre repertoire. The focus of all BOP Creative and Educational programs, is to enrich and enable dancers to connect to their creative aspirations and self-expression found within the art of Jazz dance and the creations, concepts and possibilities for Jazz Dance Theatre. 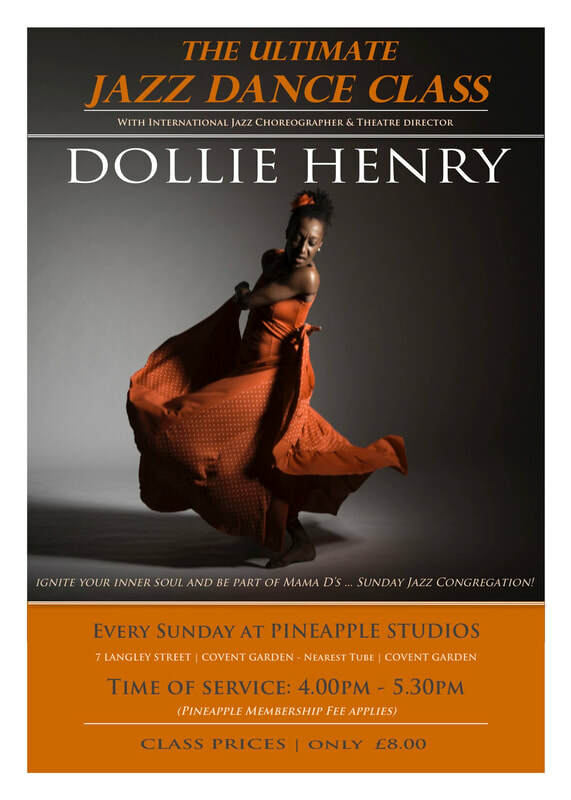 Join Dollie's infamous weekly Sunday Jazz Classes at Pineapple Dance Studios known as SUNDAY JAZZ CONGREGATION. The Jazz class is laid open for professional dancers, graduate and student dancers and all who just simply have a love for Jazz dance. A Creative Jazz dance experience that is always inclusive, engaging and inspiring.